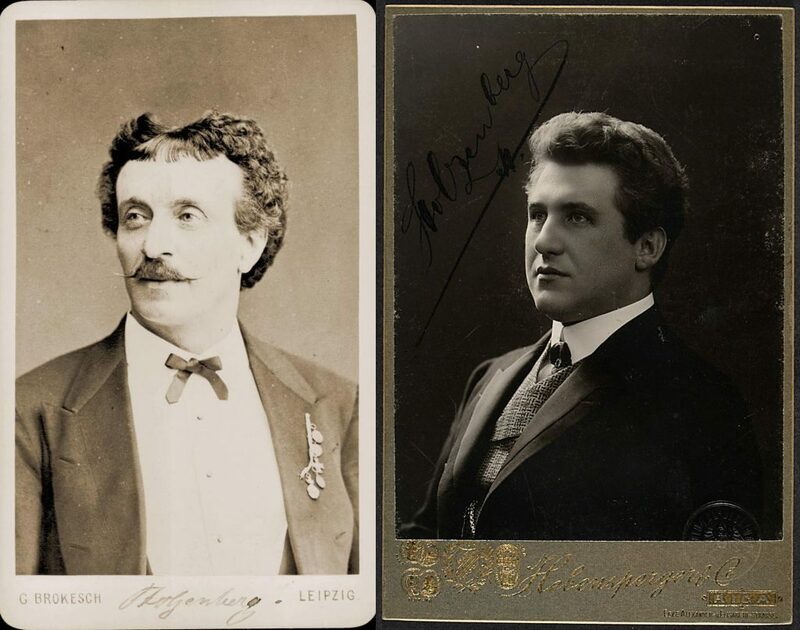 Benno (Benjamin) Stolzenberg (born 1827 in Königsberg, died 1906 in Berlin) was opera singer with tenor voice, singing teacher, composer, director of the Municipal Theatre. He startet his career in the choir of the Königsberg synagogue. 1852 he made his debut at the theatre in Königsberg as Count Almaviva in Gioacchin Rossini’s Il barbiere di Siviglia. In 1855-1856 he performed at the theatre in Reval (now Tallinn, Estonia), 1876-1879 at the theatre in Königsberg, then at the theatre in Danzig. Aron Liebeck described the appearance of Stolzenberg with great enthusiasm in his memoirs.